As Arizona schools seek to boost student achievement and adapt curriculum to Arizona’s College and Career Ready Standards, many are turning to a homegrown approach pioneered in Southern Arizona showing the kind of success that is attracting the interest of school districts outside the state. 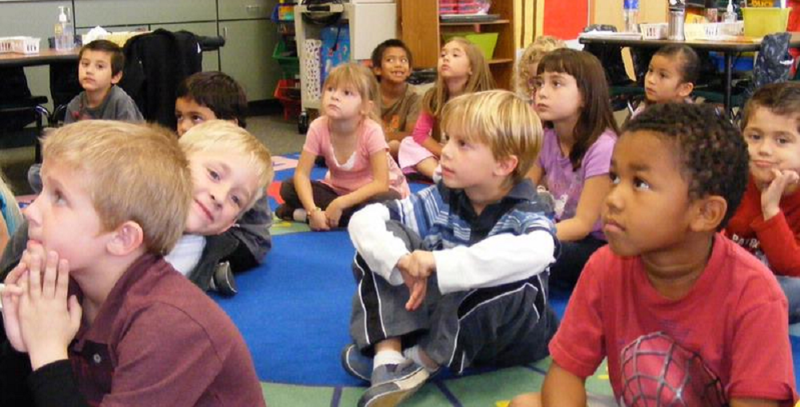 Beyond Textbooks, the online resource and collaborative community created by teachers and district leaders in the Vail Unified School District, is now being used by 86 partners: 77 Arizona school districts – or nearly one-third of all districts in the state, as well as eight charter schools and an independent preschool. 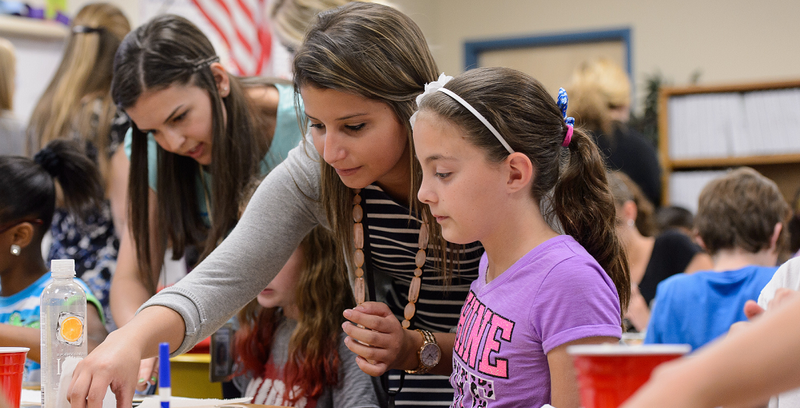 Queen Creek Unified, the 4,900-student district in southeastern Maricopa County and the fourth highest-ranked district in the state by the Arizona Department of Education, is one of them. “We were an A district before using Beyond Textbooks. 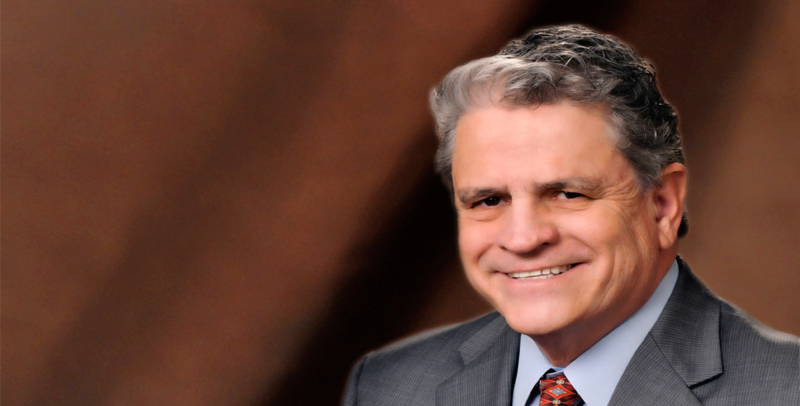 BT has given us a more systematic approach to data,” said Tom Lindsey, the district’s superintendent. Lindsey was one of 400 educators who gathered to learn more about Beyond Textbooks and share how the resource has helped their students and district at a statewide Beyond Textbooks conference held in February in Tucson. These types of professional gatherings are an added benefit of being a Beyond Textbooks partner. 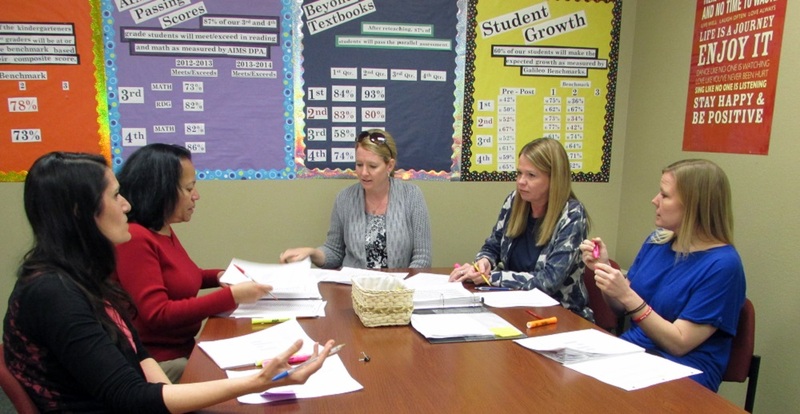 In addition to adapting Beyond Textbooks resources to create lessons, plan activities, and quiz students, Queen Creek Elementary School teachers have incorporated the Beyond Textbooks strategy of meeting by grade level weekly to analyze students’ test data and gauge understanding. Teachers use that data to plan more in-depth learning experiences for students who mastered the standard, re-teach those who need more help, and determine what changes may be necessary to improve how they teach the concept the next year, explained Queen Creek Elementary School Principal Erika Copeland. Fee-based, shared resources like Beyond Textbooks make sense for districts which have seen reduced state funding for soft capital items like textbooks since 2008, while new, more rigorous standards have been implemented and accountability for student outcomes has increased. “Vail was spending upwards of $55 per student on textbooks 10 years ago. It’s down to $3 per student now with Beyond Textbooks,” said Justin Chesebrough, director of Beyond Textbooks. But affordable curriculum materials are only part of the appeal of Beyond Textbooks. A playbook for increased student achievement from Vail, a district rated number-one by the Arizona Department of Education for two years in a row, strong relationships with other participating districts and ongoing professional development are keys to Beyond Textbooks’ success, Chesebrough said. While many districts are in their first year or two with Beyond Textbooks, it is a concept that Vail has been working to develop and improve for years. It is also what the district credits for its high state ranking. After making dramatic improvements to student achievement in their own district, Vail wanted to share what they had learned, what their teachers had created, and move from binders of information to a computerized interactive system, said Debbie Hedgepeth, Vail assistant superintendent of curriculum and professional development. At a leadership retreat in 2008, Vail’s director of technology suggested creating an online system that included lesson plans and calendars for when certain concepts should be taught, said Hedgepeth. It also included a means for teachers to share materials online, breaking down barriers of time and distance, Hedgepeth said. When Vail Superintendent Calvin Baker brought together teachers, administrators and district members to discuss it, they realized teachers could share across a grade level, the district, and the state, Hedgepeth said. For Ash Fork Unified School District with 300 students in rural Yavapai County and one teacher per grade level, Beyond Textbooks was “a game changer,” Superintendent Seth Staples said. Vail Unified School District’s Debbie Hedgepeth, standing near projection screen, listens as educators with Winslow Unified School District discuss their goals and action plans during a Beyond Textbooks Data Dig in Prescott in October. Partners said regular professional collaboration and learning experiences also add value to being a Beyond Textbooks partner. 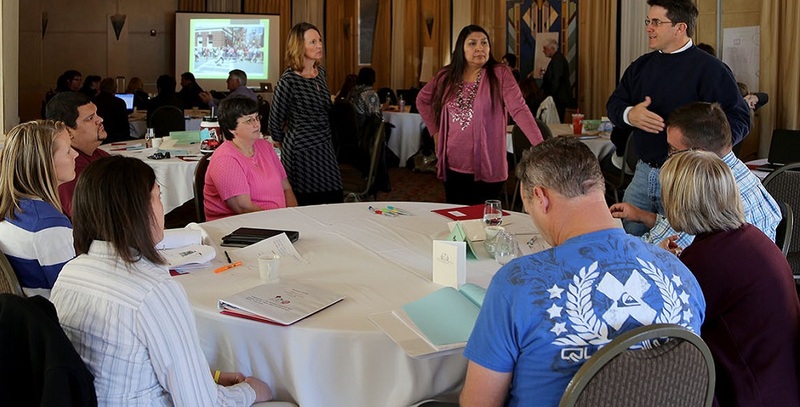 In fall 2013, for example, schools from Kingman, Miami, Winslow, Florence and Parker gathered with Beyond Textbooks staff in Prescott to analyze their student growth scores, set measurable goals, and create action plans to achieve them. 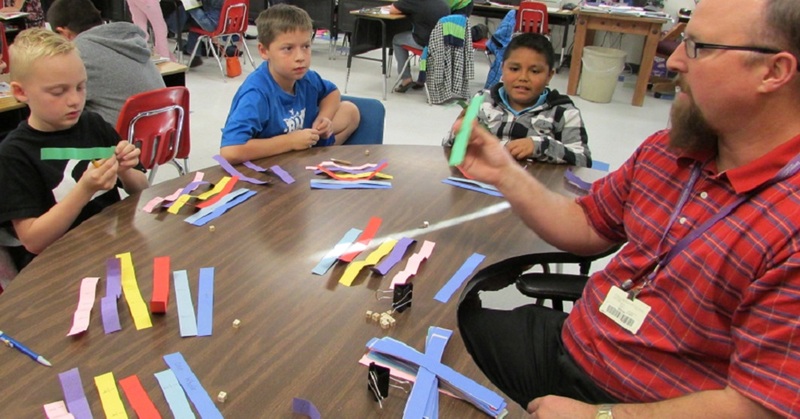 As with many districts, cost of participation in Beyond Textbooks was a factor for Ash Fork. The annual cost is $3,000, plus an $8 per student fee, Chesebrough said. Before a school or district partners with Beyond Textbooks, Chesebrough said he and other Beyond Textbooks staff meet with the superintendent, curriculum director, principals and teacher leaders to show them what the program is. If they decide to become a partner, Beyond Textbooks staff provides a two-day leadership retreat on key components and create an implementation program specific to the district’s needs. Then, program staff train every teacher on key components and has them work hands-on with the online resources, Chesebrough said. Districts can choose to pay for ongoing training. 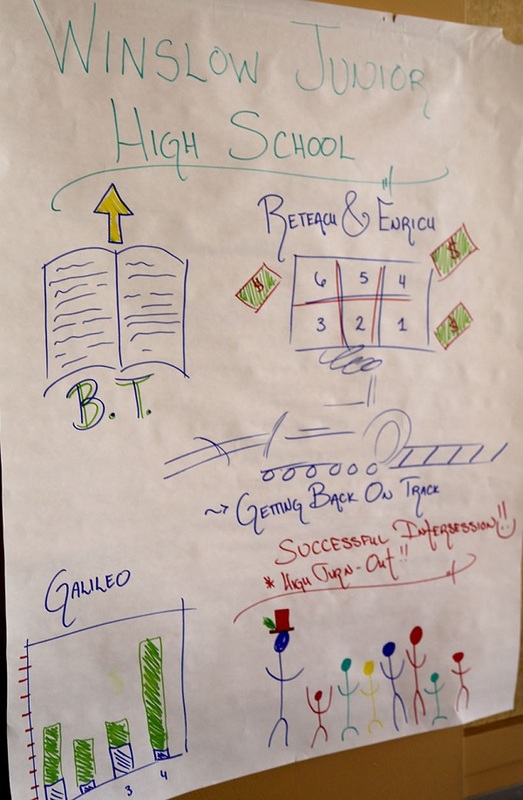 Winslow Unified School District educators and leaders made a poster of the things they are proud of about Winslow Junior High School during a Beyond Textbooks Data Dig in Prescott in October. This year, Beyond Textbook’s first partner – Benson Unified School District – surpassed Vail to become the Arizona school district ranked number-one by the Arizona Department of Education. Benson learned the hard way it couldn’t use part of the Beyond Textbooks plan, but rather had to “apply it all with fidelity,” Woodall said. One aspect that helped Benson boost student achievement was a Beyond Textbooks strategy called daily math skills – a scripted 20-minute math practice of basic math facts at particular grade levels – and an incentive program for students, said Tara Finch, director of special education and principal of Benson Middle School. Re-teach and enrich are part of the regular class schedule, and students who need more help receive “intense intervention” in a weeklong session during the two-week fall and spring breaks, Finch said. As news has spread about Beyond Textbooks, schools in 40 other states have expressed interest in becoming partners, but before accepting any out-of-state partners, Beyond Textbooks will seek approval from the Vail USD governing board, Chesebrough said. Currently, Beyond Textbooks is developing more pre-school resources that partner districts are using now, planning a special education summit, and developing more training on depth of knowledge from partner-driven feedback, Chesebrough said.